Borin M, Bonaiti G, Giardini L. Controlled drainage and wetlands to reduce agricultural pollution: a lysimetric study[J]. Journal of Environmental Quality,2001,30(4):1330. Chuan Bao Wu,Xiang Hui Zeng. 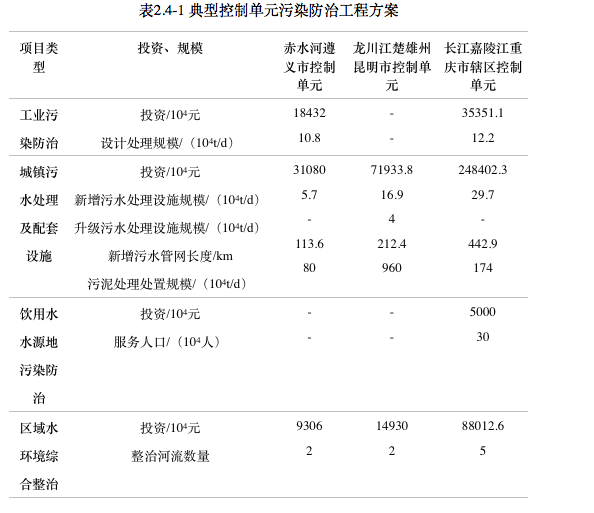 Study on Control of Water Quality of Poyang Lake[J]. Applied Mechanics and Materials,2014,522-524: 979-982. Costanza R, DArge R, DeGroot R, et al.1997. The value of the world's ecosystemservices and natural capital [J]. Nature,387: 253-260. Darryl E. Marois,William J. Mitsch. Coastal protection from tsunamis and cyclones provided by mangrove wetlands – a review[J]. International Journal of Biodiversity Science, Ecosystem Services & Management,2015,11(1):71-83. Feng Gao,Ronglan Xiao. Multisource Disaster Chain and Control in Regional Water Environment of the Dongjiang Lake in China[J]. Journal of Water Resource and Protection,2015,07(15):1174-1182. Gao Z G, Zhang L Q. Multi-seasonal spectral characteristics analysis of coastal salt marsh vegetation in Shanghai, China[J]. Estuarine, Coastal and Shelf Science,2006(69): 217-224. Guangliang Zhang,Junhong Bai,Min Xi,Qingqing Zhao,Qiongqiong Lu,Jia Jia. Soil quality assessment of coastal wetlands in the Yellow River Delta of China based on the minimum data set[J]. Ecological Indicators,2016,66:458-466. Hongda Fang,Ying Xu,Zhilong Ye,Zhaoji Zhang,Songqing Pan,Lin Deng,Zhuanxi Luo,Shaohua Chen. Impact of urbanization on nutrients and heavy metal pollution of Napahai Wetland, Shangri-La County, China[J]. International Journal of Sustainable Development & World Ecology,2015,22(2):1-10. Hua Wang,Feng Qiang Ji,Yi Yi Zhou,Kun Xia. Water Pollutant Control for a River-Lake Region to the Northwest of Lake Taihu[J]. Applied Mechanics and Materials,2014,665:420-425. Huan Ying Zhu,Ming Zhou,Xiao Liu. Application of Artificial Wetland Technology in Rural Water Pollution Control[J]. Advanced Materials Research,2014,997:717-720. Ji Fu Wang, Lu Xu, Wei Ping Xu, Xing Tu Liu. 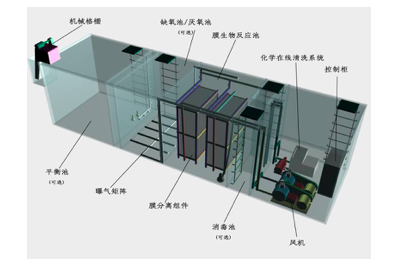 The Research of Microbial Remediation of Oil Pollution Wetland - Aim at the Oil Pollution of Daqing Oil Field the Wetland[J]. Advanced Materials Research,2012,610-613:2074-2078. Jing Cheng,Siping Niu,Youngchul Kim. Relationship between water quality parameters and the survival of indicator microorganisms-Escherichia coli-in a stormwater wetland[J]. Water Science & Technology,2013,68(7):1650-1656. Julien Tournebize,Cedric Chaumont,Ülo Mander. Implications for constructed wetlands to mitigate nitrate and pesticide pollution in agricultural drained watersheds[J]. Ecological Engineering,2016. Kao C M, Wu M J. Control of non-point source pollution by a natural wetland.[J]. 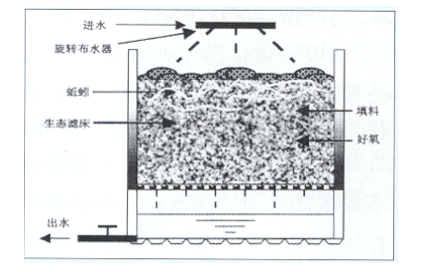 Water Science and Technology,2000,43(5):169-174. 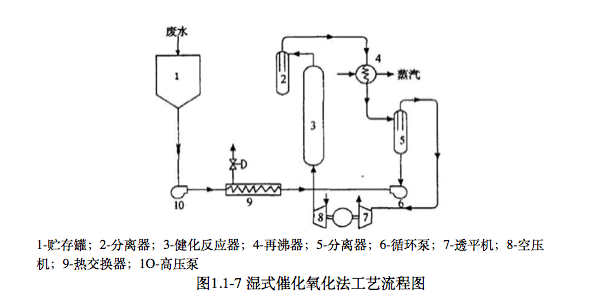 Kao C M, Wang J Y, Lee H Y, Wen C K. Application of a constructed wetland for non-point source pollution control.[J]. Water Science and Technology,2001,44(11-12):585. Kim H C,Yoon C G,Son Y K,Rhee H P,Lee S B. Effects of open water on the performance of a constructed wetland for nonpoint source pollution control.[J]. 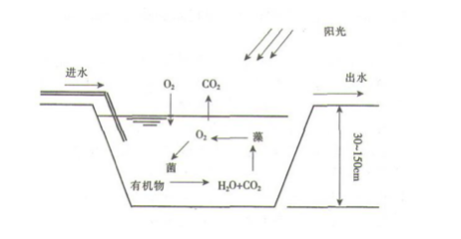 Water Science and Technology,2010,62(5):1003. Lian Feng Gao, Zhen Guo Zhang, Ying Zhang, Ying Chun Wang, Peng Zhang, Chang Shui Liu. Degradative Factors and Protective Countermeasures of Coastal Wetlands in Tangshan[J]. Transactions of Oceanology & Limnology,2011,347-353(3):1865-1868. M. A. Muspratt. Quality control applied to river pollution[J]. International Journal of Environmental Studies,1973,5(1-4):137-142. Ma Z, Melville D S, Liu J, et al. 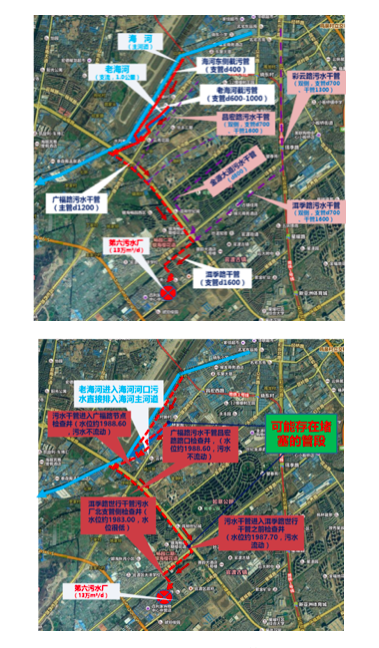 Rethinking China’s new great wall [J].Science,2014,346: 912-914. Mehmet Soner Engin,Ahmet Uyanik,Seydahmet Cay. Investigation of trace metals distribution in water, sediments and wetland plants of K?z?l?rmak Delta, Turkey[J]. International Journal of Sediment Research,2016. Mitsch W J, Bernal B, Nahlik A M, et al. Wetlands, carbon, and climate change [J]. Landscape Ecology,2013,28(4):583-597. Osei, Juliet,Nyame, rank Kwakyi, Armah, Thomas Kaku, Osae, Shiloh Kwabena, Dampare, Samuel Boakye, Fianko, Joseph Richmond, Adomako, Dickson, Bentil, Nash. Application of Multivariate Analysis for Identification of Pollution Sources in the Densu Delta Wetland in the Vicinity of a Landfill Site in Ghana[J]. Journal of Water Resource and Protection,2010,2(12):1020-1029. Ouyang Z T, Gao Y, Xie X, et al. Spectral Discrimination of the Invasive Plant Spartina Alterniflora at Multiple Phenological Stages in a Saltmarsh Wetland [J]. PLos One,2013,6(8):e67315. Qi Yong Yang, Xin Hua Zhang, Zhong Wei Wu. Prevention and Control of Water Pollution Based on Ecosystem Management (EM): A Case Study of Poyang Lake[J]. Applied Mechanics and Materials,2013,295-298(2):1575-1579. Rachasak Klayklung,Charit Tingsabadh,Nantana Gajaseni. Surface Water Pollution Control by Appropriate Effluent Taxation: The Thachin River Basin Study, Thailand[J]. Journal of Applied Sciences,2010,10(15):1492-1510. Rai Prabhat Kumar. Heavy metal pollution in aquatic ecosystems and its phytoremediation using wetland plants: an ecosustainable approach[J]. International Journal of Phytoremediation,2008,10(2):131-158. Ren Jun Liang,Xiao Tian Ma,Ji Cai Qiu. Heavy Metals (Fe, Zn, Mn, Cr, As) Speciation Analysis and Ecological Risk Assessment in the Surface Sediments of WuHe Wetland[J]. Applied Mechanics and Materials,2014,675:299-304. Rui Zhang,Xian Xiang Luo,Jian Qiang Yang. Pollution and Evaluation of Heavy Metals in the Wetland Soil of Shuangtaizi Estuary[J]. Advanced Materials Research,2012,573-574:348-352. Sarfraz Hashim,Yue Bo Xie,Imtiaz Hashim,Ijaz Ahmad. Urban River Pollution Control Based on Bacterial Technology[J]. Applied Mechanics and Materials,2014,692:127-132. Schulz R,Peall S K. Effectiveness of a constructed wetland for retention of nonpoint-source pesticide pollution in the Lourens River catchment, South Africa.[J]. Environmental Science & Technology,2001,35(2):422-426. Shuh-Ren Jing, Ying-Feng Lin, Kai-Chung Shih, Hung-Wei Lu. Applications of Constructed Wetlands for Water Pollution Control in Taiwan: Review[J]. 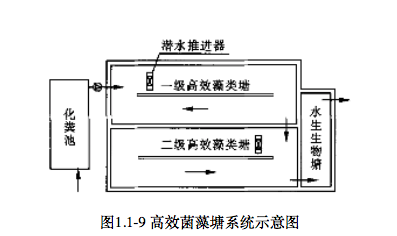 Practice Periodical of Hazardous, Toxic, and Radioactive Waste Management,2008,12(4):249-259. Svenja Karstens, Gerald Jurasinski, Stephan Glatzel, Uwe Buczko. Dynamics of surface elevation and microtopography in different zones of a coastal Phragmites wetland[J]. Ecological Engineering,2016,94:152-163. Thomas P. Constructed wetlands as a tool for sewage and stormwater pollution control[J]. Schriftenr des Ver Wasser Boden Lufthyg,2000,105: 305-310. Tian B, Zhou Y, Thom R, et al. 2015.Detecting wetland changes in Shanghai, China using FORMOSAT and Landsat TM imagery [J]. Journal of Hydrology,529:1-10. Tian Yin Huang,Wei Wu,Wen-Wei Li. Identifying the major pollution sources and pollution loading status of Qiputang River in Taihu Lake basin of China[J]. Desalination and Water Treatment,2013,51(22-24):4736-4743. Wang S Y， Ding C B， Liu J S． Landscape evolution in the Yellow River Basin using satellite remote sensing and GIS during the past decade[J]．International Journal of Remote Sensing,2009,30(21):5573-5591. Williams J R. Addressing global warming and biodiversity through forest restoration and coastal wetlands creation[J]. Science of the Total Environment,1999,240(1-3):1-9. Xiangcan Jin,Xiaozhen Hu. 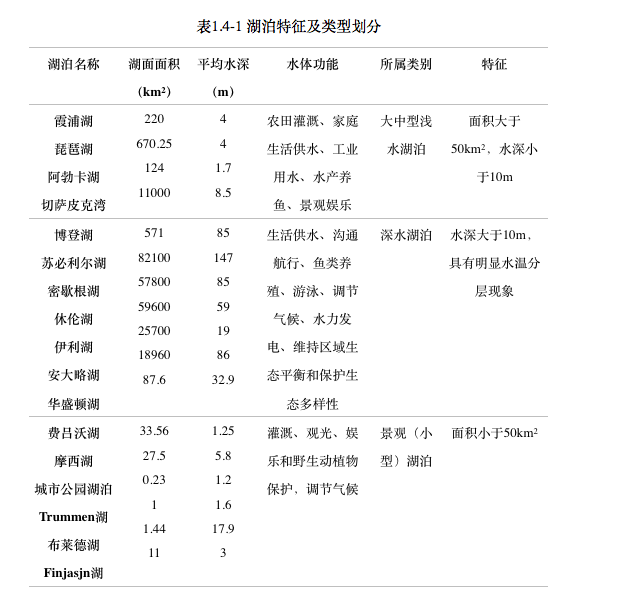 A comprehensive plan for treating the major polluted regions of Lake Taihu, China[J]. Lakes & Reservoirs: Research & Management,2003,8(8):217-230. Xiao Tian Ma,Ren Jun Liang,Ji Cai Qiu,Li Zhi Wang,Xiu Zhen Wang. Pollution Characteristics and Ecological Risk Assessment of Hg and As in Sediments from WuHe Wetland[J]. Advanced Materials Research,2014,1051:552-556. Xu Yang,Ji Fu Wang,Xue Ping Zhang,Bao Jian Wang. Analysis of the Spatial-Temporal Variation of Water Quality in Daqing Wetland[J]. Advanced Materials Research,2012,610-613:3263-3266. Yan Y E, Ouyang Z T, Guo H Q, et al. 2010. Detecting the spatiotemporal changes of tidal flood in the estuarine wetland by using MODIS time series data [J].Journal of Hydrology, 384 (1/2): 156-163. Yang Lin,Shi Zhi Wen,De Ming Wang. 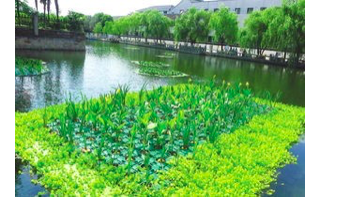 Demonstration Project of Wetlands Restoration and Pollution Control - A Case Study in Xiangtan Manganese Mine, China[J]. Advanced Materials Research,2013,864-867:1270-1274. Yi Bin Ren,Ji Guang Li,Nan Qi Ren,Xiao Kun Li. The Application of Fuzzy Comprehensive Evaluation Method in Non-Point Pollution on Wetland Water Environmental Impact[J]. Advanced Materials Research,2012,518:4948-4952. Yi-Di Li,Ying Chen,Li Wang,Lin Yao,Xu-Ming Pan,Duu-Jong Lee. Pollution tolerant protozoa in polluted wetland[J]. Bioresource Technology,2017. Yonghui XU,Ying WANG,Aljoy ABARQUEZ,Harry WU,Guangcai CHEN,Jingmin JIANG,Jianfeng ZHANG,Qihua SHAN,Zhijian ZHANG. Discussion on Role of Forest to Control Agricultural Non-Point Source Pollution in Taihu Lake Basin-Based on Source-SinkAnalysis[J]. Journal of Water Resource & Protection,2009,01(01):345-350. Yu Nan Gao ,Ping Ping Zhang, Jin Xiang Fu. The Current Situation of Pollution Control and Management of the Liao River Basin[J]. Applied Mechanics and Materials,2012,178-181:1046-1049. Yuanyuan Wang, Liang Guo, Yi Wang,Meng Ran,Jie Liu,Peng Wang. Research and Application of Pollution Control in the Middle Reach of Ashe River by Multi-Objective Optimization[J]. Journal of Geoscience and Environment Protection,2013,01(02):1-6. Zhang Yimin, Zhang Yongchun, Gao Yuexiang, Zhang Houhu, Cao Jianying, Cai Jinbang, Kong Xiangji. Water pollution control technology and strategy for river-lake systems: a case study in Gehu Lake and Taige Canal[J]. Ecotoxicology,2011,20(5):1154-1159. Zhao Tongqian, Xu Huashan, He Yuxiao,Tai Chao, Meng Hongqi, Zeng Fanfu, Xing Menglin. Agricultural non-point nitrogen pollution control function of different vegetation types in riparian wetlands: a case study in the Yellow River wetland in China[J]. Journal of Environmental Sciences,2009,21(7):933-939. Zhong Wei Wu,Xi Wu Lu. 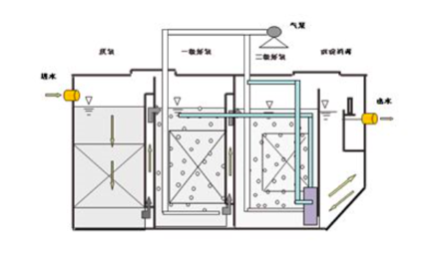 Industrialization of Pollution-Purifying Agriculture to Control Non-Point Source Pollution in Poyang Lake Area[J]. Applied Mechanics and Materials,2014,522-524:690-694.